So during our 2nd to last project turn-in, one of my classmates Victoria Harrell was quite bored while we were waiting for the teacher to check our work. 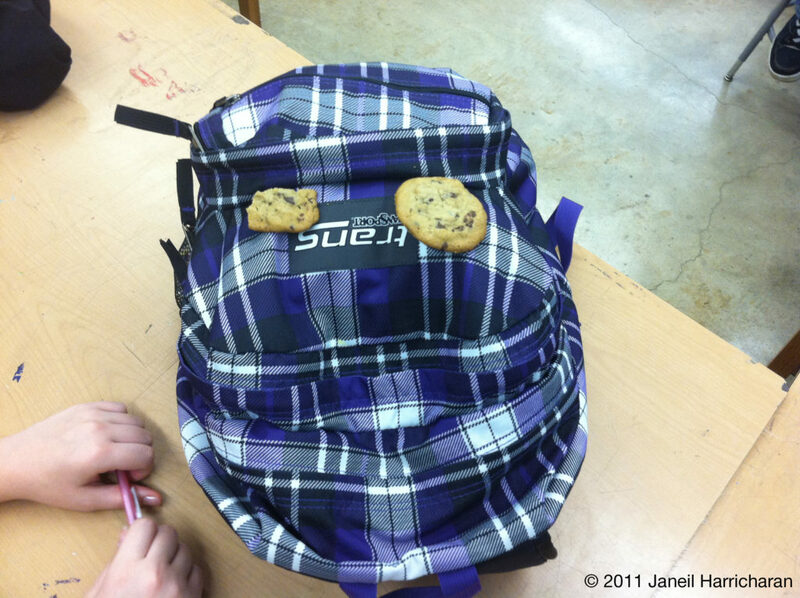 This was a result of that; she took cookies she was eating and put them on her bag as if it was a “face”. I supposed the “mouth” are the bag folds on the bottom.